Control code for units either shipped to California Emissions System dealers or ordered by California Emissions System dealers for registration in non-California States locations. 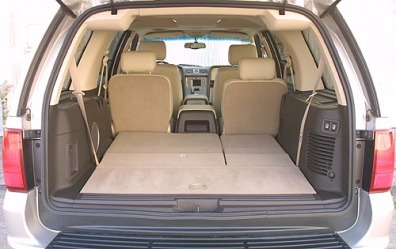 Eliminates 6-disc CD changer and subwoofer. Includes premium AM/FM CD/Cassette w/base speaker system, P255/70R18 tires w/18" spare, 18" Euroflange chromed aluminum wheel, heavy duty cross flow radiator, 22 plate aux. transmission cooler, heavy duty trailer tow, limited slip rear axle, 6GIF alternator and 72AMP hr battery. Includes traction control, stability control and roll stability control. Traction control helps reduce wheelspin during abrupt acceleration or acceleration on a low traction surface. 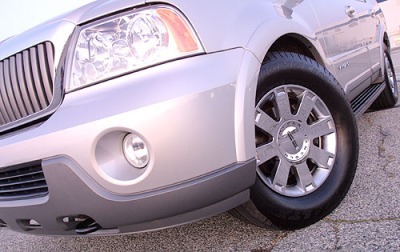 Stability control helps keep the vehicle on the driver's intended path when taking a curve, reducing the likelihood of plowing through the turn (understeer) or fishtailing or spinning out in the turn (oversteer). Roll stability control helps reduce the likelihood of a rollover during abrupt changes in direction such as swerves. All of these systems function by adjustment to the power output of the engine and/or selective application of the brakes to one or more wheels. Includes 18" x 8" chromed aluminum wheels with P255/70R18 all-season tires. Includes monochromatic exterior color scheme for the front/rear lower fascia, grille surround and license plate surround, chrome grille slats, rear seat entertainment system including second row overhead console with DVD player, 7 inch retractable overhead color LCD screen with remote control and wireless headphones, and heated and cooled front seats each with five different temperature settings. Includes heated and cooled driver and front passenger seats with five different temperature settings. Includes rear seat entertainment system with second row overhead console with DVD player, 7 inch retractable overhead color LCD screen with remote control and wireless headphones.